"We're playing tonight at the House of Blues in Atlantic City, NJ with our friends United Nations and A Life Once Lost. Who's coming out?" I really hope that I'll be allowed down to GA with a balcony ticket, my mom bought me it so I didn't know until now. Damn.. I really hope they come to AZ soon. ??? Circa Survice ??? wtf? but there have been other one-off college shows. cs, ag, & ag (w. gow). some of which were 'secret'. 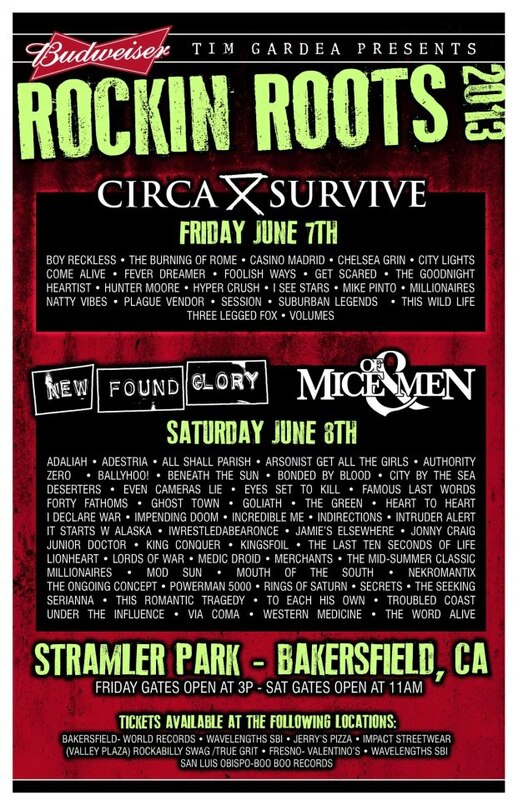 Oh and just as a fyi, that is a non-Circa show. 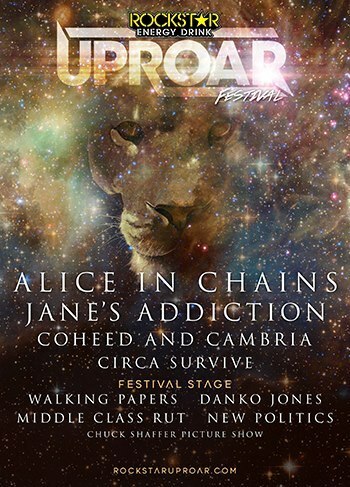 I can't quote it at this moment but I have seen that show listed explicitly stating that Circa Survive is not playing. and in the chat they mentioned that they were going to play hawaii. they also mentioned that they hope to play LA again sometime during the summer. i'm visiting my friend who lives there this summer. 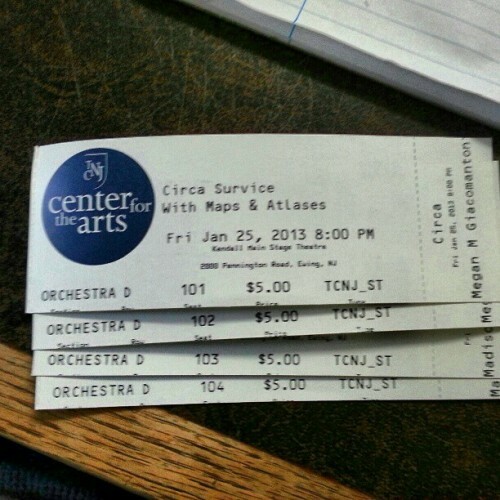 i hope i'm out there for the show. March 12th! Here I come! I have So many days off for this thing that it worked out perfectly! Now I just need to get an oil change and air in my tires for the 2 hr-one way drive to the show. I'm hopinh Circa Survive plays mostly older tunes, same with Minus the Bear. Idunno. I wasn't so thrilled with their new releases. Violent Waves didn't do much for me. is this available on the tour? steve just put it on his instagram. i have never wanted an iphone so badly. "This Saturday (April 13) we're playing with Muse in Connecticut at Mohegan Sun. Had to see you one more time before we leave for Australia." that's crazy that they are playing with a big band like muse, not really a fan of them, but Muse has one of the best live shows apparently. so violent waves never got toured in the uk. unless i totally missed that upon which i would totally have been gutted! no you didnt miss it. so yeah, they are overdue on playing the UK. i'm sure they'll set something up before too long.